While nobody in the field of interior decorating would give up their profession for anything in the world, there are times when you’ll feel creatively drained. If a 2-week vacation in the Bahamas isn’t possible for you, there are other ways to renew and refresh your enthusiasm and creativity! One way to get around your mental block is to learn some new tricks! A quick search on Google can bring up hundreds of thousands of helpful articles or webpages that’ll satiate your learning-bug, but don’t overlook the old-school way of acquiring knowledge—books! 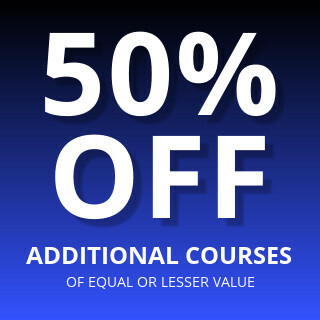 As a professional in a dynamic industry, you should always be learning. New trends and technologies are begging to be examined and incorporated into the way we decorate homes. You have to be in-the-know so that you can provide the best service to your clients. Ready to hit the stacks? Check out these 6 books that’ll put the spring back into your step when tackling your next contract. Some people have the natural talent and ability to see which colors go well together to create a cohesive design. For those of us who aren’t so lucky, we still have hope! You can train yourself through practice and experience to be able to spot dynamic color combinations that complement one another instead of distracting the eye and giving your clients a headache. Where’s a better way to start than in a “bible” that’ll give you 150 different color scheme ideas? The book discusses the psychological effects of color including how it influences mood and how it serves to make a room seem cozy or large. It doesn’t give you strict commandments on what you should and shouldn’t do color-wise, but it does provide some welcome inspiration for those of us who are stuck in a rut! No list even distantly related to interior decorating history would be complete without a mention of Elsie de Wolfe. She was basically the godmother of interior design—interior decorating wasn’t even a profession before she came along. Modeling her decorating vision around lifestyle instead of tradition, de Wolfe brought soft-upholstered chairs to America and did-away with the drab “ugliness” of cluttered Victorian decorating schemes. She gave home interiors a face-lift and was a true pioneer in making homes feel comfortable and beautiful. While this book isn’t penned by de Wolfe (she was alive in the 1800s), Sparke delves into her most celebrated commissions in her repertoire and gives us an inside look on de Wolfe’s creative thought. Are you obsessed with colorful fabrics and how they shape the look of a home? You might find your soulmate in Kathryn Ireland. Ireland uses her expertise to combine textiles with wood and metal to create comfortable but stylish furnishings that make a house feel like a home. In this book, she walks readers through the restoration / renovation process of a famous property in Ojai. Don’t expect the rooms to appear like upscale Ikea showrooms or the sleek ultra-modern bare-bones condo. Ireland’s aim is to warm up the space without going overboard with clashing fabrics like you grandmother’s sitting room. She takes a fresh, modern take on foundational decorating tools to bring this property back to life. Walls are some of the biggest canvases out there. Despite there being almost an infinite amount of ways to show creativity on the walls of a house, many people play it safe by having just one giant painting in the center of the room. While this tactics does work in certain cases, there are other decorating strategies that make better use of a blank canvas’ potential—you just need to dig a little! This book goes through all the different ways you can decorate a wall. From fancy china to kitschy Etsy art, the goal is to be creative and add personality to the walls of a home. James walks you through all the ways you can display art in fun and unique ways that effectively use the space without feeling too busy or cluttered. As a professional interior decorator, you know that the job is all about personalizing your clients’ home to their taste, lifestyle, and personality. Having unique décor accents that meld in well with a room’s theme or atmosphere can add visual interest to any space—without the premium price tag. When it comes to decorating, it’s all in the details! This book teaches you how to add character to a room by reimagining old pieces and completely transforming spaces with the addition of one of two statement pieces. With hundreds of high-quality photos, you’ll be able to see every little detail that goes into transforming a house into a home. The founding editor-in-chief for the influential domino magazine and current editor-in-chief of T: The New York Times Style Magazine, Deborah Needleman is a big name in the interior decorating industry. In this book, she tells you just what to watch out for when shopping for furnishings. From shopping the flea-market to re-appraising furniture that’s already in the home, she gives us tips on training our eyes to be able to see hidden potential in everything. 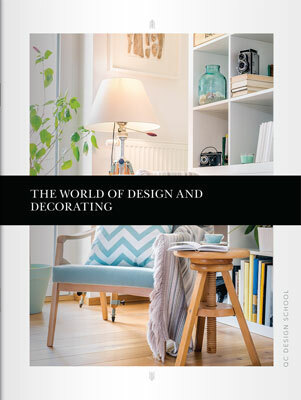 This book also outlines styling tips and decorating shortcuts to make this a well-rounded handbook for all decorators. To top it all off, the content is accompanied by beautiful watercolor illustrations from Virginia Johnson (her work has also graced the pages of Kate Spade books)—this book will never be relegated to paperweight status! Did you miss your go-to book of inspiration? Let us know what’s on your nightstand in the comments!